PONTIAN: The small and medium enterprises (SMEs) need to place greater emphasis on labelling, branding and halal certification to enable them to capitalise on the market enlargement under the Trans-Pacific Partnership (TPP) Agreement. Deputy International Trade and Industry Ministry Minister Datuk Ahmad Maslan said the twelve TPP countries comprised a market of 800 million consumers. SME exports account for over 30 per cent of gross domestic product in other countries, while that of Malaysia only 19 per cent, he said after opening the SME Corp Halal Certification Seminar and the Importance of Packaging and Branding Workshop, here today. On halal certification, he said as the global halal market was worth a few trillion dollars, the seminar was timely and local SMEs should not take it lightly if they want to tap into the growing market. 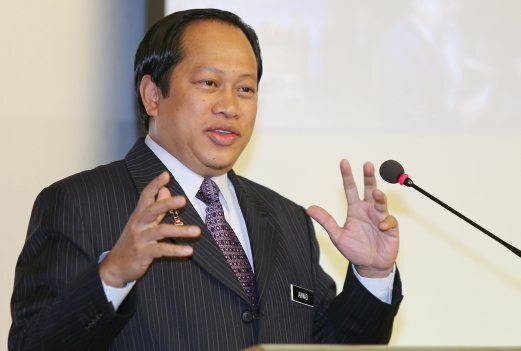 "They ought to get halal certificates for their products from the Islamic Development Department and the Halal Industry Corporation," he said, adding that the ministry would intensify efforts to explain the importance of halal certification and product quality in the rural areas. Ahmad said the recent Asia-Pacific Economic Corporation (APEC) SME Ministerial Meeting in Manila, which he attended, asserted the need to intensify the SME e-commerce networking among member countries.